One of the most popular benefits for BioOhio members is our array of valuable cost savings programs and purchasing discounts. Because BioOhio is an affiliate of BIO, our members are eligible for select BIO Business Solutions savings programs. BioOhio has also negotiated special savings for members with additional vendors and service providers. Below you will find descriptions of our cost savings programs, available exclusively to BioOhio members. If you have questions, or would like to enroll in one or more of these programs, use the form at the end of the page or feel free to contact us directly at (614) 675-3686, or by email to Jen Goldsberry, Manager, Member Services & Events. Members receive discounts to BioOhio events, as well as leading local and national events such as BIO, MDMA FDA Forum, AdvaMed, and other industry conferences. Members receive a discounted rate to exhibit at BioOhio events such as the Ohio Bioscience Expo & Showcase, and Ohio Bioscience Career Fairs. To encourage engagement among the next generation of Ohio bioscience leaders, BioOhio member schools can receive special group pricing for student attendance at BioOhio events. In addition, Student Members receive the largest individual discounts to attend BioOhio events. Members have the opportunity to bundle event sponsorship with their annual dues and receive a discount. 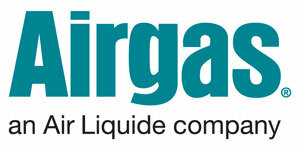 Airgas offers BioOhio members 10% to 25% discounts on cryogenic equipment, gas distribution equipment and safety products. American Laboratory Trading (ALT), an Agilent Technologies Channel Partner, offers premium refurbished lab equipment and surplus strategy services for the life sciences. ALT stocks more than 12,000 instruments ranging from small benchtop accessories to robust triple quad mass spectrometers – all carefully refurbished and delivered with a one year warranty. Aon delivers comprehensive coverage for Executive Liability Insurance programs, Members will benefit from multiple carriers competing for their business, without sacrificing coverage or enhancements. BioMedTracker, by Informa, offers real-time drug development and regulatory intelligence that includes proprietary analysis on the likelihood of approval of drugs. BioOhio members can enjoy a 25% discount off the normal list price. BioOhio has partnered with CareerBuilder, the nation’s largest online job searching & recruiting site, to provide members with a 15% discount on all CareerBuilder.com job and recruiting products. BioOhio members can post their current job openings on BioOhio.com, and have them included in monthly BioOhio newsletters and ongoing social media outreach. Visit the Member Job Board page to see current openings and get details on how to post your jobs today. BioOhio has arranged a 15% discount on industry leading skills training courses offered by The Center for Professional Innovation & Education (CfPIE). Courses include specialized education in pharmaceutical, medical device, and biotechnology disciplines. Chubb Clinical Trials Liability Insurance; Errors and Omissions Liability Insurance; Product Liability Insurance; Professional Liability Insurance – Members receive a 10% premium credit (subject to regulatory limitations), very competitive premiums for companies at all stages, low minimum premiums for early stage companies, and broad coverage tailored to meet the unique needs of the biotech industry. Chubb Property and Casualty Insurance – Members receive very competitive premiums for companies at all stages, low minimum premiums for early stage companies, dedicated loss control and claims specialists, and access to proprietary tools to assist in developing insurance values. Clean Harbors is an environmental services provider managing waste recycling and disposal. Special pricing and discounts for members includes 35-40% off list on disposal; 15-20% off list on transportation and materials and 35% off list price on labor charges. Datamonitor Healthcare, by Informa, offers event-driven research and analysis on epidemiology, drugs, company insights, forecasting & market access. BioOhio members can enjoy a 25% discount off the normal list price. G2G has secured $206 million for start-ups and growing enterprises since 2007 based on researching and shaping government funding opportunities. G2G offers all BioOhio members FREE access to its password protected, monthly grants report that highlights and summarizes current bioscience-related grants as a member benefit. The report simplifies your search for non-dilutive government funding opportunities by providing all the information you need in a convenient chart arranged by topic areas and includes the following for each grant: title and agency, opportunity number, brief description, deadline, funding level, and hyperlink to full announcement and/or application. Overall, G2G provides comprehensive government affairs, public relations, and economic development services for businesses and non-profits. Humboldt is offering up to a 65% discount on employee relocation programs for members. Medtrack, by Informa, is a source for Commercial Intelligence, powering sales, licensing, and M&A activity. BioOhio members can enjoy a 25% discount off the normal list price. 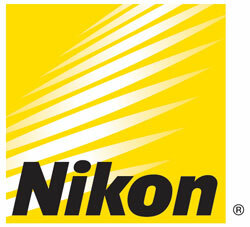 Nikon Instruments offers members 15% off select BIO customized microscope packages, 7% off individual Nikon items, 5% off third party products; onsite no charge installation (unless specified on quote); 1 year warranty on full systems, 5 year warranty on microscopes; onsite no charge training, customized to Customer needs. Office Depot is offering members up to of 80% off MSRP on a core list of over 1000 frequently ordered office, cleaning and break room supplies. Free delivery on all order over $25 and additional discounts available for other products as well. ProcureSafe has created a comprehensive package of supplier solutions offered to members: Supplier Manager, Contract Manager, and Bid Manager. Built for buyers and suppliers alike, the platform will better connect you with vendors and customers by trimming away tedious paperwork, allowing direct engagement on workflow process and bids, and expanding your buyer/supplier universe to find new pipelines for qualified suppliers delivering critical goods and services. In addition, the system creates increased visibility, compliance, and continuity within your organization to track and manage contracts so nothing falls through the cracks or is lost amid staff turnover. Learn more here. Scientist.com, the online marketplace for outsourced scientific services and products, offers researchers access to a platform with thousands of pre-qualified suppliers providing custom research services. Immediate savings will be realized by sending requests to multiple suppliers in a single click. Marketplace users are not assessed any subscription, implementation or transaction fees. Scientist.com charges their suppliers a minimal transaction fee, negotiated by BioOhio’s national partner, BIO, for orders processed. Signing up is simple, and Scientist.com’s Research Concierge™ — a team comprised of experts with decades of scientific experience — can assist with any order no matter how complex the project. Learn more here. ShareVault offers secure, cloud-based document sharing solutions. Benefits for members include a minimum 20% discount on ShareVault’s primary products, minimum 30% savings off the standard pricing of ShareVault for SharePoint, and at least 5% additional discount on subscriptions with terms of two or more years. Skoda Minotti offers all BioOhio members a free ProfitCents industry benchmarking analysis. BioOhio members who are emerging companies (less than five years old) receive 20% off accounting and auditing as well as tax compliance services. Various discounts for members are offered for Skoda Minotti’s other services including staffing, business valuation, marketing and strategic planning. Taylor Strategy Partners is here to be your partner. For nearly half a century, we have provided excellence in the people business. Our experienced team brings a personal touch to hiring that combines art with science to build unique solutions for our clients. Whether it’s with our search, consulting and assessment, recruitment process outsourcing, or our sales accelerator—we help make companies stronger. We are proud to be a leader in the healthcare and life science industries. UniClean, a leading cleanroom services provider, offers members uniform and facility services savings of 30-50%. UniFirst, supplier of workwear programs for businesses, is offering members uniform and facility service savings of 30-50%. 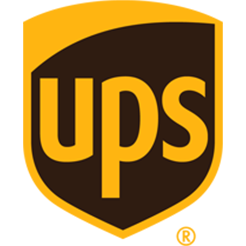 BioOhio and BIO have entered into an agreement with UPS to provide our members with up to 70% off UPS Next Day Air services, and up to 65% off UPS Worldwide International services. This is a significant savings off published rates! UPS offers BIO members great savings, and the peace of mind that accompanies reliable service with guaranteed delivery, and innovative technology. VWR offers special pricing agreements with major manufacturers, plus many other member-only benefits including discounts across the entire VWR product offering.